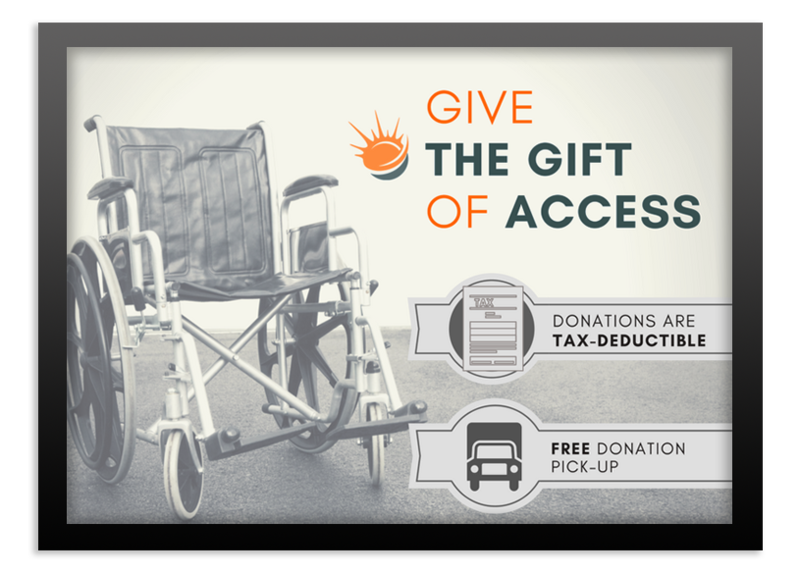 Your donations make affordable equipment available to individuals at all income levels. Finding the right home for refurbished medical equipment can be a challenge, but at Accessibility Medical we have many years of experience in doing just that. Our experienced staff evaluates each donated item to ensure proper function and safety prior to resale, making repairs as necessary and sanitizing each item. Please contact us with your questions at 1.866.201.3829. Call 1.866.201.3829 to schedule a pick-up. Donation pickup is not available beyond the Kansas City Metro Area and is generally limited to locations within 20 miles of our Service & Distribution Center. Donations can also be dropped off by appointment at our Service & Distribution Center.